"The very sight of a phone on the landscape leaves us feeling less connected to each other, less invested in each other." Both focused and far-reaching, Reclaiming Conversation is a book with a powerful message. Our relationship to technology—especially our smartphones—has evolved in ways that put our capacity for conversation at risk—at an enormous cost. This is a book that forced me to think hard about the ways in which devices are changing our lives—and reducing our capacity for empathy, creativity and true connection with others. For people who didn’t grow up with a smartphone (me), it’s a wake-up call to reclaim the behaviors that once dominated my life (like quiet time and uninterrupted conversation.) For those who’ve known no other reality—it’s a call to develop new capacities—and a testament to why they matter. 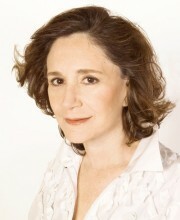 Sherry Turkle writes at a time when many of us know that something is not working—and are feeling uneasy. She shares quotes from hundreds of interviews, with people of all ages, that eloquently describe that unease. She describes a profound problem—and offers up an alternative, including suggestions for creating new practices in our homes, schools and workplaces. Living into these new practices will require both honesty and discipline—understanding the power of technology in our lives, acknowledging our vulnerability, and creating new ways of living with our devices. "Conversation is on the path toward the experience of intimacy, community and communion. Reclaiming conversation is a step toward reclaiming our most fundamental human values." Our devices are creating a world in which true conversation is rare. Conversation requires undivided attention to another person or group of people, staying engaged when things get a bit boring and slogging through the unknown and uncomfortable. Conversations include both being heard and listening—they require full presence. We learn to converse as children—both by learning to be alone and by learning to be together. We learn through quiet, unhurried time with our parents—when they are with us fully. Our devices are changing our relationship to conversation. They encourage distraction—when even slightly bored, we go to the device. We come in and out of the conversation. Parents check emails when we’re with their babies—meaning that they do not get our undivided attention—and perhaps not a lot of our eye contact. Young adults learn to text rather than speak—meaning that their conversation is mediated, planned—they create their personas carefully—and take far less risk. We know that multi-tasking doesn’t work—and we continue to multi-task. Uni-tasking becomes increasingly difficult. We create rules (no phones at dinner) and we don’t abide by them. We have largely given up on holding meetings where we expect full attention—and we have created all kinds of ways of accommodating for distraction. Conversations are powerful—we create new thinking through conversation, build things that are bigger than any one of us alone, create deep and abiding connections, become happier. Through conversation we understand other people, developing the capacity for true empathy. Studies show a precipitous decline in the capacity for empathy among the generation that is being raised with smartphones. We are losing the ability to walk in another person’s shoes because we aren’t talking. "We are so accustomed to being always connected that being alone seems like a problem technology should solve." One of the most powerful claims made by Turkle is that “in solitude we find ourselves”—and that the capacity to be alone is critical to the capacity to be together. It is also critical to the capacity to be creative and productive. The degree to which we have lost that capacity is alarming. In moments of quiet—we turn to our phones. We don’t allow ourselves to get bored. We are always connecting, always on. Finding alone time—embracing solitude— is a critical first step in reclaiming conversation. Turkle posits that the increasing interest in mindfulness meditation is a response to this—a recognition that we need to learn to “turn off.” She suggests that there are other ways to be alone as well—and it’s critical that we develop and/or reclaim that capacity in ourselves. "The world’s largest conference call provider, used by 85% of Fortune 100 firms, studied what people are doing during meetings: 65 percent do other work, 63 percent send email, 55 percent eat or make food, 47 percent go the bathroom, and 6 percent take another phone call." And I thought it was me! I admit that, at one time or another, I have used conference call time for ALL of the above. It’s sobering. Turkle promotes face-to-face conversation—and a profound awareness of the impact of virtual workplaces on how we work and live. She shares studies that clearly demonstrate that face-to-face conversation leads to higher productivity and reduced stress. By being honest about our vulnerability to the call of our phones and other devices—we can begin to design our lives and our workplaces to support meaningful conversation. While this is easier in physical workspaces (no-device meetings, planned social time and spaces, active mentorship programs based on face-to-face meetings,) we also need to find ways to work virtually together in ways that promote true connection. Few books I’ve read in recent years have left me so uncomfortable and so committed to doing things differently. Turkle has forced me to be honest with myself about my own device habits—and to notice my (almost-grown) children’s habits—and ask them to notice as well. I’m still trying to figure out what “differently” will look like for me at work—how I can work virtually and still engage in powerful conversations. What I can bring to those conversations—and what I can ask of others. Turkle gives inspiring examples of the impact of changing behaviors. Empathy can be restored when habits are changed. We can learn (or re-learn) to converse and to focus. I hope this book serves as a call to action.